© 2002, © 2017 by Paul Freeman. Revised 6/4/17. Westview Airport, as depicted on the July 1941 Norfolk Sectional Chart (courtesy of Chris Kennedy). and thus lasted in operation only a mere one year. Westview Airport was formally opened on 6/14/1941. It had been in use at this point for about 30 days. 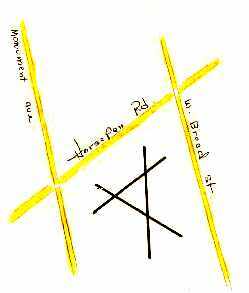 The field was located on Horsepen Road between Broad Street & Monument Avenue. although 2 others were planned (but never built). 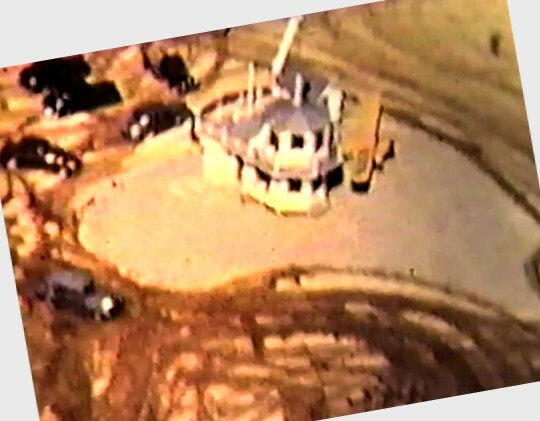 Westview had a control tower, but it was apparently never used. The field was quite often muddy. The Westview School of Aviation offered flight instruction under the tutelage of Jeff Nolan. Sightseeing, charter, and aircraft rentals were also offered. The first women's flying club in Richmond was formed at Westview. It depicted Westview as a commercial/municipal field. A still from a 1941 8mm movie by Ruth Beckh about a woman (Louise Galeski) learning to fly at Westview Airport (courtesy of Scott Robertson), showing the control tower from the air. Scott Robertson reported, “My grandmother, Ruth Beckh... In the film she is about 12 years old shown getting out of one of the Cubs. She remembers her mother taking her to the airport every weekend for a month or so while she filmed the movie. According to her, her uncle Matt Will owned the land & built the building. A still from a 1941 8mm movie by Ruth Beckh showing the Westview Airport control tower (courtesy of Scott Robertson). A still from a 1941 8mm movie by Ruth Beckh showing a Piper Cub at Westview Airport (courtesy of Scott Robertson). An undated diagram depicted Westview Airport as having 3 runways. Westview Airport closed in 1942 after the onset of WW2, after having been in operation for only one year. It was not depicted at all on the 1942 USGS topo map. 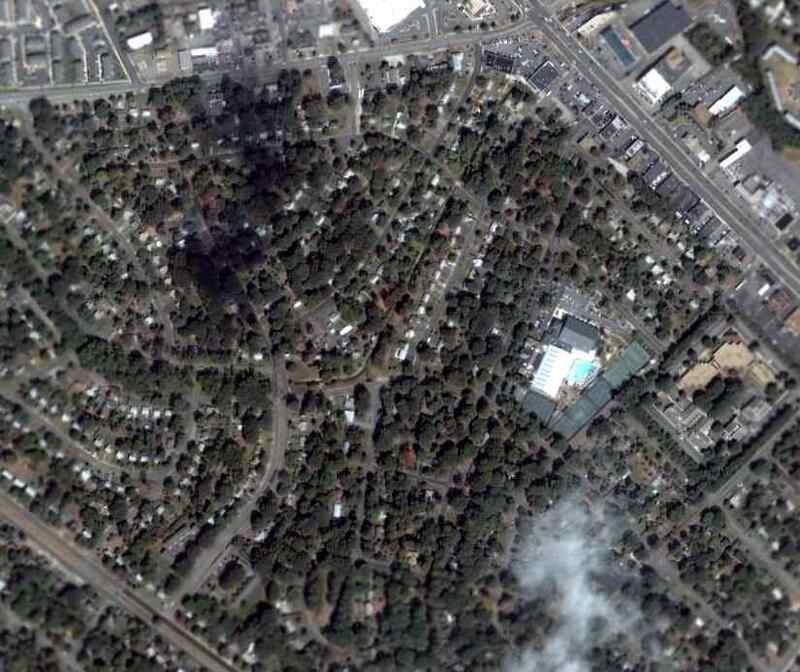 Scott Robertson reported, “Matt Will sold the property when the U.S. entered the war to another developer who built the Crestview Apartments on the land. with not any trace remaining of the former Westview Airport. it does not appear as if any trace remains of the former Westview Airport. 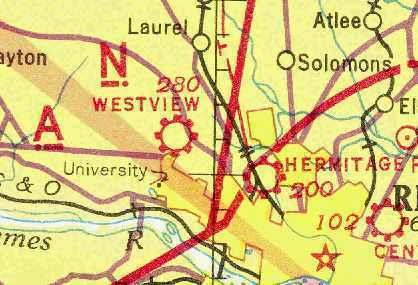 The site of Westview Airport is located south of the intersection of Horsepen Road & West Broad Street. 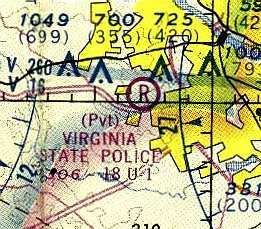 The VA State Police Airport, as depicted on the July 1954 Norfolk Sectional Chart (courtesy of Chris Kennedy). and located in Pulaski, Lynchburg and Richmond. 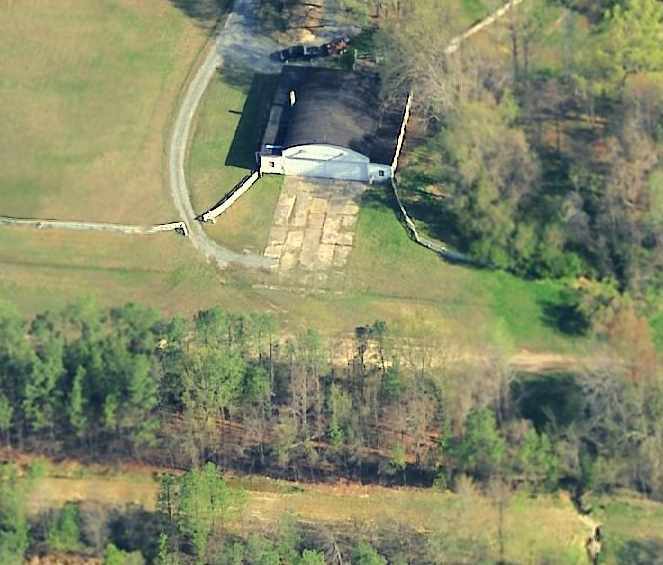 A 1,650' landing strip was utilized at State Police Headquarters in Richmond. The aircraft served the Department & other police agencies having need for air observation & transportation. Missions included spotting fleeing felons, detecting whiskey stills, and observing traffic problems. Troopers who were qualified as pilots performed these duties in addition to their regular assignments. 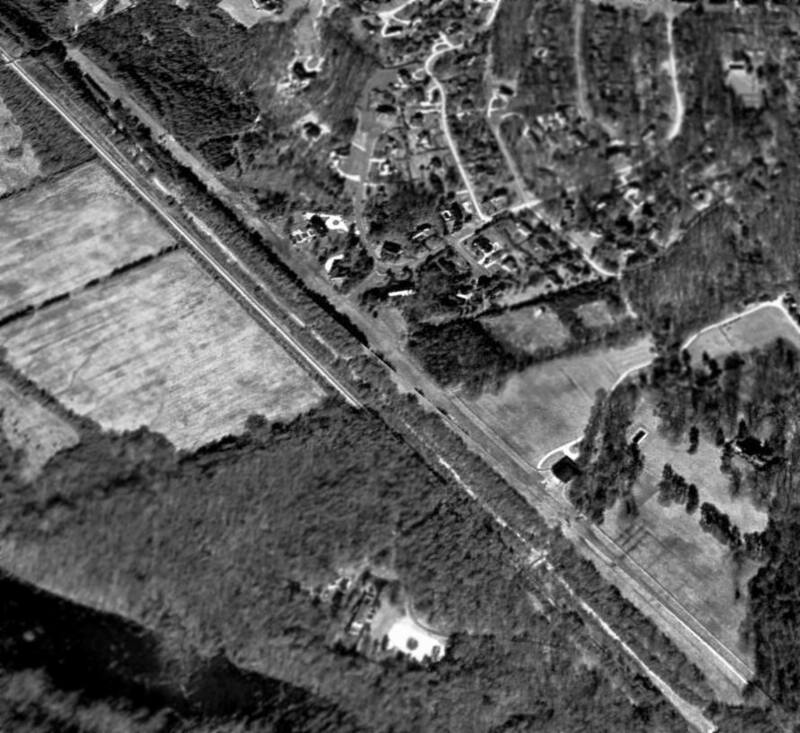 The earliest photo which has been located of the VA State Police Airport was a 1952 aerial view. It depicted the field as having a northwest/southeast grass runway. It depicted the field as having an 1,800' unpaved runway. described the State Police Airport as having a single 1,800' turf runway. which depicted the field as having a single grass northwest/southeast runway. I flew with the Civil Air Patrol Squadron based in Hopewell. It was from this field that we made at least one flight up to the State Police field on the outskirts of Richmond. pickup some urgently needed blood in containers, and fly them to the desired location. Our flight was conducted in a former Air Force L-19. and it was the only time I landed there." 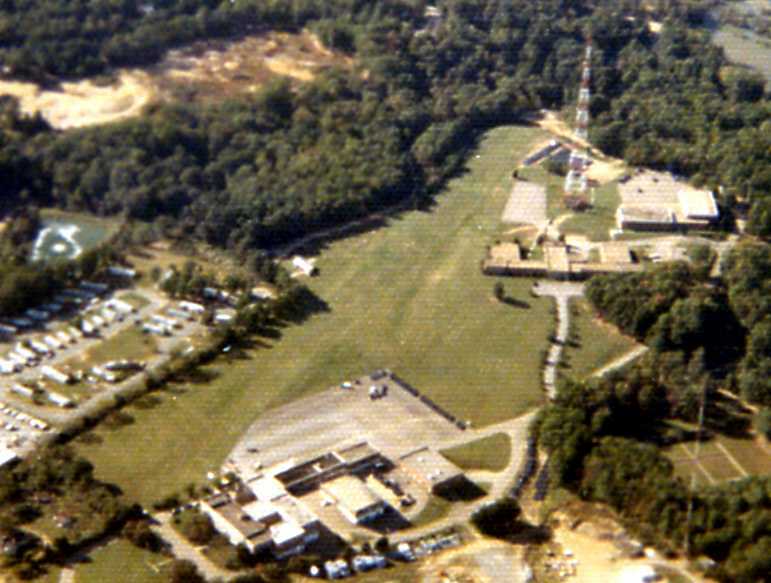 A 10/14/73 aerial view by Kenneth Keeton looking northwest at the VA State Police Airport. 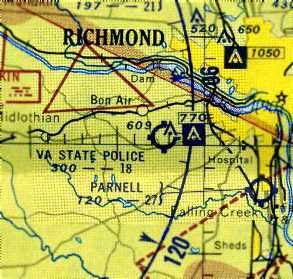 The VA State Police Airport, as depicted on the 1975 Washington Sectional Chart (courtesy of Ed Drury). 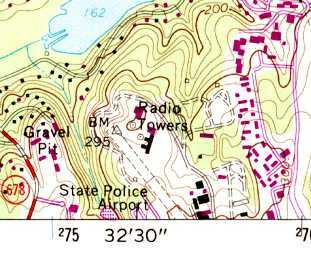 The 1984 USGS topo map depicted the State Police Airport as having a single unpaved northwest/southeast runway. at which point the State Police Airport on the grounds of the Headquarters was presumably closed. The State Police Airport was no longer depicted on the 1991 Washington Sectional Chart (courtesy of Mike Keefe). 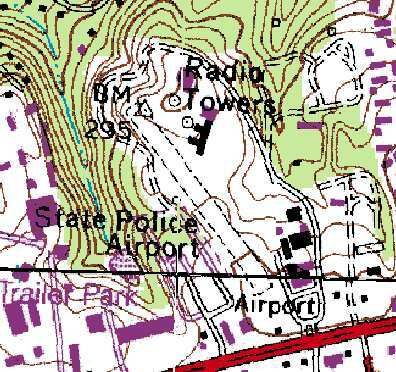 The 1994 USGS topo map depicted the State Police Airport as having a single unpaved northwest/southeast runway. which is no longer really recognizable as a former airport. on the north side of Midlothian Turnpike. A 2/26/68 USGS aerial view of Glenroy Airfield. and it may also have been known as Garner Field. Garner was a very wealthy businessman who operated an Air Force training (contract) base at Bartow FL during the 1950s. and the western approximately 1,000' on a Mr. West's property. 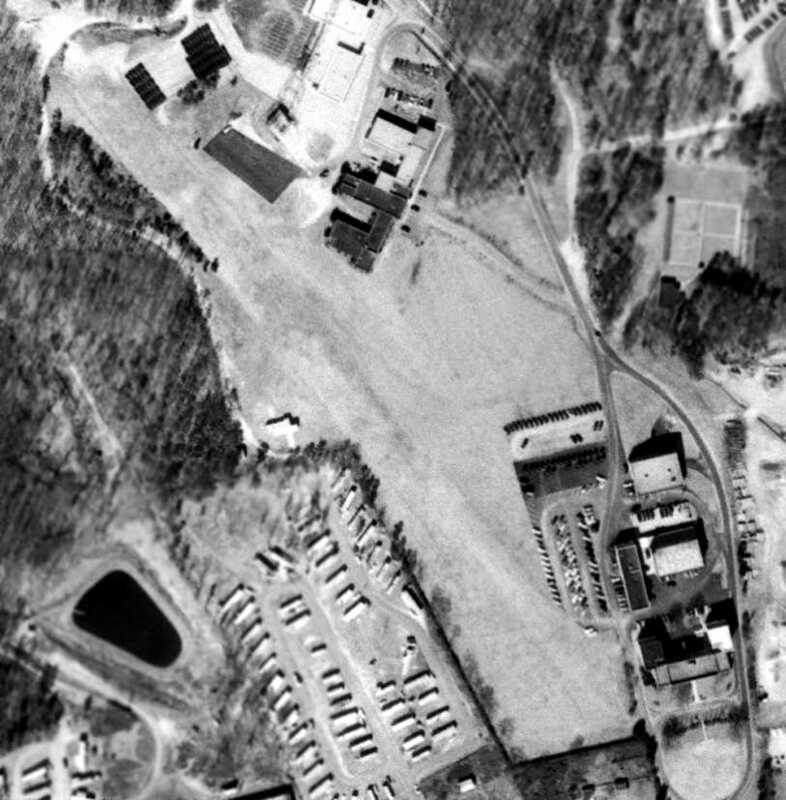 The earliest photo which has been located of Glenroy Field was a 2/26/68 USGS aerial view. It depicted the field as having a single east/west grass runway, with a single hangar on the north side. Glenroy was not yet depicted on the 1970 Washington Sectional Chart (courtesy of John Clifford). 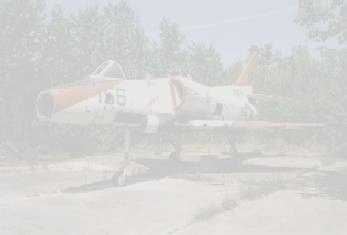 which depicted the field as having a 4,500' unpaved runway. 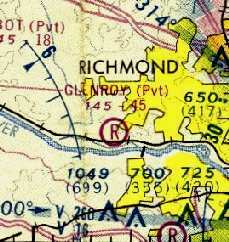 "Glenroy" Airfield, as depicted on the 1975 Washington Sectional Chart (courtesy of Ed Drury). It was labeled simply "Landing Strip" on the 1984 USGS topo map. 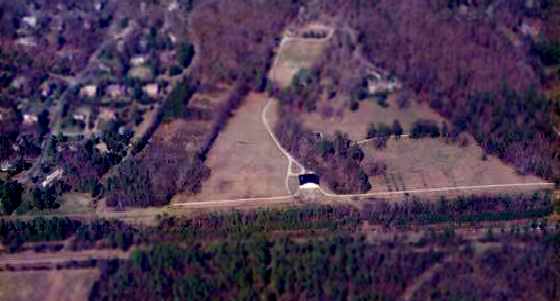 Meade Daffron reported "I stumbled upon the Glenroy airfield while hiking along the James River in the early 1980s. There was a small Cessna 150-type plane sitting outside the hangar. The airfield was grass & bordered by split-rail fencing. 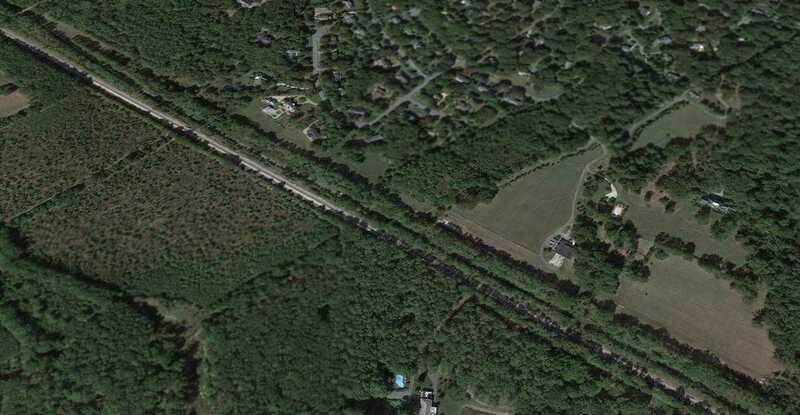 It appears to have been a private airfield owned by the property owner." or the 1994 USGS topo map. A 3/11/94 USGS aerial view looking northwest showed Glenroy to have a single 4,000' east/west runway. A single hangar sat adjacent to the north side of the runway, somewhat east of the midpoint. A 1997 aerial view looking north at the field, by T. Fleetwood. The date of closure of the Glenroy airfield is unknown. 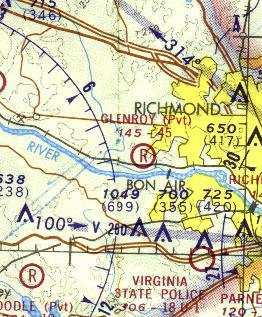 It was not depicted at all (not even as an abandoned airfield) on the 2003 Washington Sectional Chart. 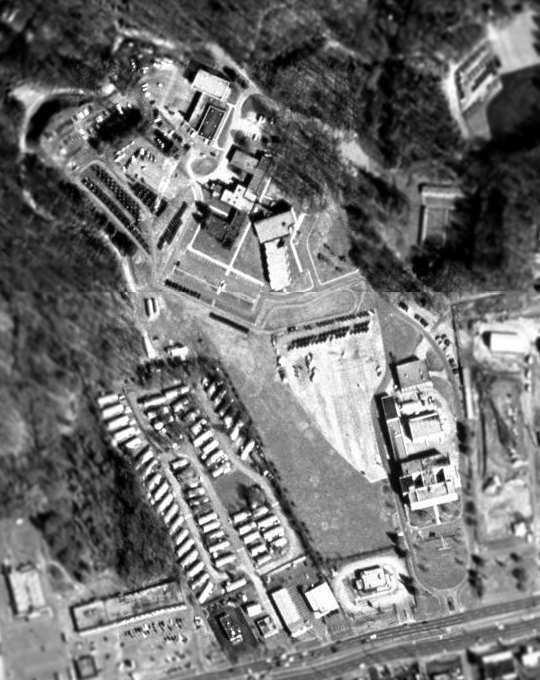 A circa 2001-2005 aerial view looking north at the hangar which remains at the site of the former Glenroy Airfied. A 2014 aerial view looking northwest at the runway & hangar at the site of Glenroy Airfied. just north of the CSX Railroad tracks & the James River.